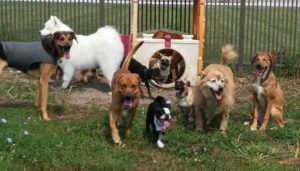 The Savvy Dog offers doggy day care 6 days a week, Monday-Saturday, 7:30 to 7:00 for those of you who need to be away or have a pet that gets lonely or bored at home. We provide the activities that your pet loves and this helps with socialization skills and manners. Our staff will oversee your pet all day as it plays in our Large or Small Pet Play Area,with plenty of one on one play and potty breaks. Day Care helps eliminate separation anxiety in pets and lets face it, wouldn’t it be great to come home to a happy, healthy and TIRED pet? Discount packages available. Day Care is $17.00 for the Full Day or $9.00 for a Half Day. Ask about our training classes. 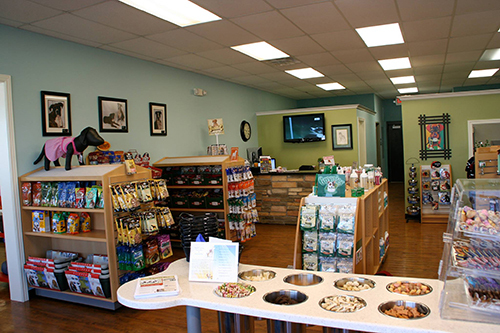 We have a certified trainer who will help with your pet’s specialized needs. Whether it be a group class or one on one, we will be there to help make your pet the best they can be. When you board your dog with us, they can get the complete “Day Care” package for only $10.00 for a full day or $5.00 for a half day.